Šiaurės Amerikos Aviacijos T-6 Texan is a single-engined advanced trainer aircraft used to train pilots of the United States Army Air Forces (USAAF), United States Navy, Royal Air Force and other air forces of the British Commonwealth during World War II and into the 1970s. Designed by North American Aviation, the T-6 is known by a variety of designations depending on the model and operating air force. 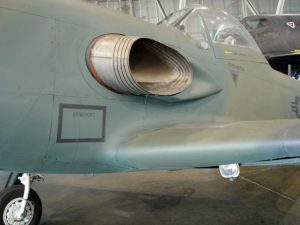 The United States Army Air Corps (USAAC) and USAAF designated it as the AT-6, the United States Navy the SNJ, and British Commonwealth air forces, the Harvard, the name it is best known by outside of the US. After 1962, US forces designated it the T-6. It remains a popular warbird aircraft used for airshow demonstrations and static displays. It has also been used many times to simulate various Japanese aircraft including the Mitsubishi A6M Zero in movies depicting World War II in the Pacific. Nuotraukų albumą Centurion Mk5 vol2 - Vaikščioti Aplink skaityti daugiau "
Pėstininkų Tankas Mark II, geriausiai žinomas kaip Matilda, buvo Britų pėstininkų tankas Antrojo Pasaulinio Karo skaityti daugiau "